Ford Front Fender, 1928-29, left side. Plain. Die stamped steel reproduction. Made in the USA. Shipping added when packed and weighed. Each side sold individually. 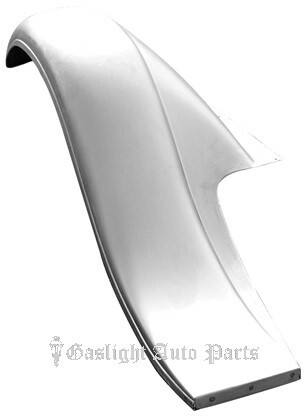 Feel free to call our qualified parts specialists for mounting tips before mounting or painting.